This reset does NOT include the Frontier or Town. Please disassemble any structures you have in the WASTELANDS (wilderness AND nether) INCLUDING LOCKED CHESTS and move the materials and yourself to town ASAP. There will be an in-game announcement about this as well. The wastelands are never meant for any permanent structures and are intended to be a mining and resource gathering land. They are generally reset once every 3 months, or alongside a version update, in order to allow for fresh lands to be generated for new blocks to be available. DeCommer, Joy_the_Miner, GrandLotusIrohRS and 17 others like this. Is February 5th going to yield 1.13.2?! Polo002 and SkeleTin007 like this. HumanvsComputer, 607 and SkeleTin007 like this. ForeverMaster and SkeleTin007 like this. 607 and SkeleTin007 like this. 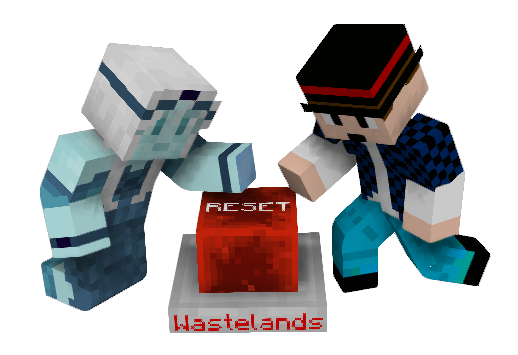 EMC Staff have already confirmed that this next Wastelands reset will not be for 1.13.2, as they still need to optimize it better for the SMPs. Whenever the time comes to release the Update Aquatic, another Wastelands reset will happen. aaadam12, ttyler333, Gawadrolt and 5 others like this. Nickblockmaster, Kryarias and SkeleTin007 like this. Nickblockmaster and SkeleTin007 like this. Yay! Maybe this time I'll dig up a couple deserts! Nickblockmaster, ForeverMaster, Kryarias and 1 other person like this. Nickblockmaster, 607, Kryarias and 1 other person like this. note to self: take an End Chest with you this time, Doofus! Nuttyknight42, Sazukemono, ThaKloned and 4 others like this. Sazukemono, ForeverMaster and Kryarias like this. Yay another reset time for new fresh wastes to explore. ForeverMaster and Kryarias like this. Oh my! Does this mean my return to EMC as a full-time miner again? Sazukemono, nosnhojhtiek, ForeverMaster and 1 other person like this. jaqque, Mochoa_Frap, crystaldragon13 and 1 other person like this. I thought it was a typo and figured it should read 'items'. Thank you. That makes better sense. Yes, most of the Update Aquatic's new blocks, items, and mobs are relatively easy to get. The only additions I see being problematic are: coral blocks, conduits, and possibly tridents and turtles. You don't need to find a frozen ocean for blue ice when you can craft it from ice into packed ice and packed ice into blue ice. Kryarias and 607 like this. What do you mean by "iema" here? I don't know all of the these acronyms people use. *Credit goes to MC YouTuber Etho for originally sharing this idea. Take a map, draw one while in The End and zoom it out four times (by surrounding the opened map in eight paper in a crafting table, 32 paper total). Then, complete the map with every end island in the area. Hold the map in your off-hand while you are exploring. When you find a fresh End City, put away your map. Get it back out when you are ready to leave the city. Capt_Bill_1st, Sazukemono, jaqque and 1 other person like this.